According to Forbes, Instagram is considered the “Best social media platform for customer engagement.” One billion people use Instagram, 500 million are daily active users, uploading 100 Million photos everyday. Instagram has not only helped create a niche – smartphone photography,- but has given individuals and businesses an opportunity to engage directly with their followers. It’s a hub where budding photography talent is now discovered. A passion for photography, a dedicated Instagram audience, a committed photo posting, are signs of a successful business model. – How do you cash into this business? A common thread runs through stories of successful photographers world over; from America to Asia, Europe to Australia, Middle East to Africa, photographers share one common trait – passion. Brian – a media student from Kenya – epitomizes this love for the camera, at the age of 10, in a chance encounter with a Kodak point and shoot camera, captured a beautiful photo of his mother. A new passion was ignited in him. His love for shooting photos quickly became an obsession, in college, this obsession is fast becoming his profession. Brian has a huge following on Instagram. Having a large Instagram following, shooting exquisite photos at friend’s birthday parties, capturing beautiful images at weddings, posting distinct landscape photos, creating unique mixed media compositions, is all great, but may never put money in your pocket, unless you know how. Have you been bitten by the Entrepreneur’s bug, and are wondering how to monetize your love for light? Like Brian, are you in college pursuing your passion, yet photography seems to be hard wired in your DNA? Instagram’s phenomenal success has proved that images capture our imagination – validating that ancient maxim, – a picture is worth one thousand words. – Better put, your photos may be worth a fortune. 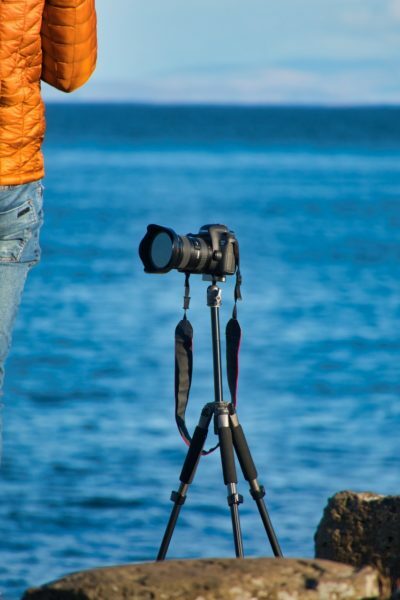 The following questions and their answers,will launch your photography business. You will generate income, pay bills, and who knows, probably become world famous. What is Stock Photography? – Who is a Microstocker? How do I launch my photography Business? How do guarantee that my photos will sell? Which licence rules do I need to know? What type of photos sell and how do I shoot them? What submission requirements should I meet for my photos? Which Stock agencies will sell my photos? I will answer the first four questions in this article, and the last three in a subsequent article. However first things first; Are you a businessperson? Successful photography is a business, do you have a business mindset? Look at photography not as a hobby but as a business. Acquire necessary business skills, learn how to run professionally run your photography business. 1. What is Stock Photography? – Who is a Microstocker? Stock photography is a business model where anyone can sell their images through a stock agency. A stock agency sells licences for use of images uploaded on their website, anybody can upload their images, if accepted they go live on the agency’s website.